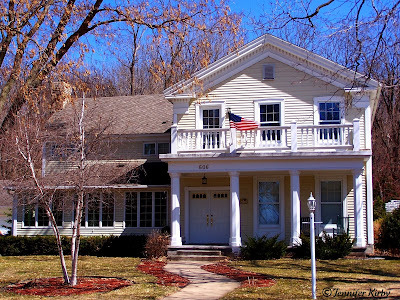 This entry was posted on Friday, April 10th, 2009 at 4:44 am	and is filed under Greek Revival, Out of State, Wisconsin Historic Homes. You can follow any responses to this entry through the RSS 2.0 feed. You can leave a response, or trackback from your own site. I guess I would feel right at home in Wisconsin! 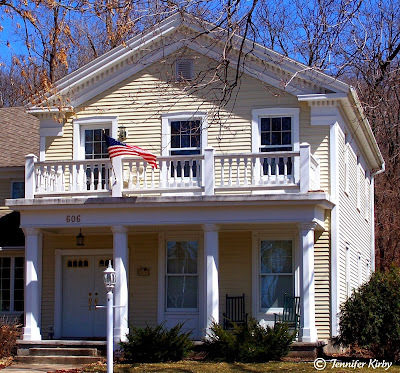 We’ve got many beautiful Greek Revivals in Massachusetts and it’s one of my favorite architectural styles. I wrote a post about the style for my own blog recently and now I can’t stop taking photographs of them. Fun to see these from your neck of the woods. In many of the small river towns in Wisconsin, you can find a few surviving Greek Revivals, and a few in Minnesota too. Thanks for visiting. I really want to travel to the east coast some day to photograph your historic buildings.